The 2017 Melbourne Cup has been won by $15 chance Rekindling ahead of Johannes Vermeer and Max Dynamite. Here are all the winners for exotic betting options. A place bet is fairly self-explanatory. If your horse comes in the top three, then you’ve landed a winner. Obviously, odds are significantly shorter than for a winner. The places in the 2017 Melbourne Cup went to Rekindling – $4.65 (1st), Johannes Vermeer – $3.85 (2nd) and Max Dynamite – $5.45(3rd). » Looking for quinella and trifecta winners? Click here. 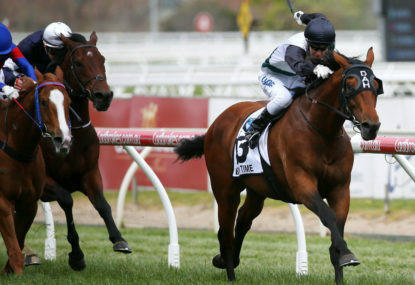 An exacta bet requires punters to pick the top two horses in exact order. The combination you needed was Rekindling and Johannes Vermeer. Winning a First 4 bet requires you to pick the top four horses from the race in any order. Therefore, as long as you had Rekindling, Johannes Vermeer, Max Dynamite and Big Duke in any order, you will take a share of the dividend.